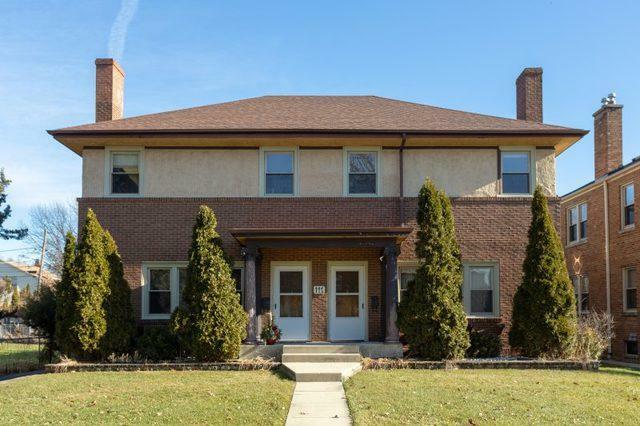 Beautiful side by side townhouses steps from downtown Elmhurst & Metra station. Two 1500 SF, 2-story units with separate full basements with exterior access. Separately metered gas and electric, 2 car garage plus 3 exterior parking spots with alley access. Enclosed back porch, separate private front entrances. Both units are identical - 3 beds, 1.5 baths, living room with fireplace, dining room, 1st floor office, eat-in kitchen, hardwood floors on 1st & 2nd floors, individual laundry rooms for each unit in basement, and 2nd floor balcony off master. Top Elmhurst schools - Field/Sandburg/York HS. Recent capital improvements - new roof on building and garage in 2014, new windows in 2010, new separate 100 AMP electric panels in 2015, newer washer and dryer, both boilers replaced in 2004.